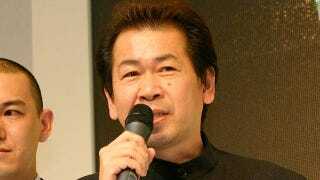 Yu Suzuki, the man behind classic Sega video games Space Harrier, Out Run, Virtua Fighter and Shenmue, will be at this year's Game Developers Conference to receive a prestigious accolade, this year's Pioneer Award. That commendation, presented as part of the 2011 Game Developers Choice Awards, is just one of the reasons Suzuki will be in attendance at GDC. The creator of landmark arcade games After Burner and Virtua Racing will also present a lecture at the conference, "Yu Suzuki's Gameworks: A Career Retrospective," where he'll be "discussing some of the landmark game titles that he has created over the past two decades," according to official word. Yu Suzuki once described himself as the "mother of video games"—that is, if Mario creator Shigeru Miyamoto is the father of video games—in a recent interview. He joined Sega in 1983 and currently serves as a "special adviser" at the company. Who Is The Mother Of Video Games? Suzuki is currently at work on a new Shenmue project dubbed Shenmue Town, a mobile social networking title.